From the Barbados Island, overlooking the Caribbean Sea, the city of Barbarian stretches back thickening to the spread of art, culture, and cuisine. Allison Burnham, NY born and raised, has gained enormous following with her food brand- Coconut Baby. Coconut Baby is a cookery book which includes Burnham's journey from the Caribbean to New York. Caribbean cooking is famous for being rich, high calories, and in full flavour. However, Burnham's book uses more of tropical island ingredients and products that can be found almost in any grocery store worldwide. 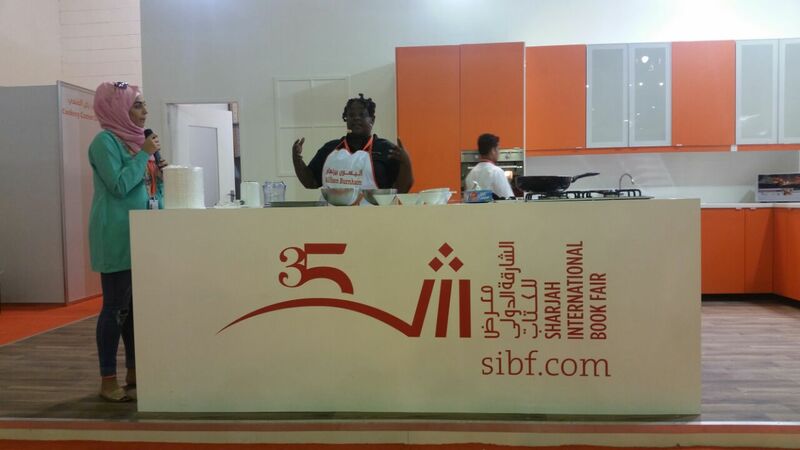 To demonstrate one of her finest recipes from the Cook Book- Coconut Baby, Burnham was present at the 35th Edition of the Sharjah International Book Fair at the cookery corner today. Burnham presented one of her dish, Smoked Mango BBQ Chicken, which she had experimented, by adding a lot of different tropical ingredients in it. 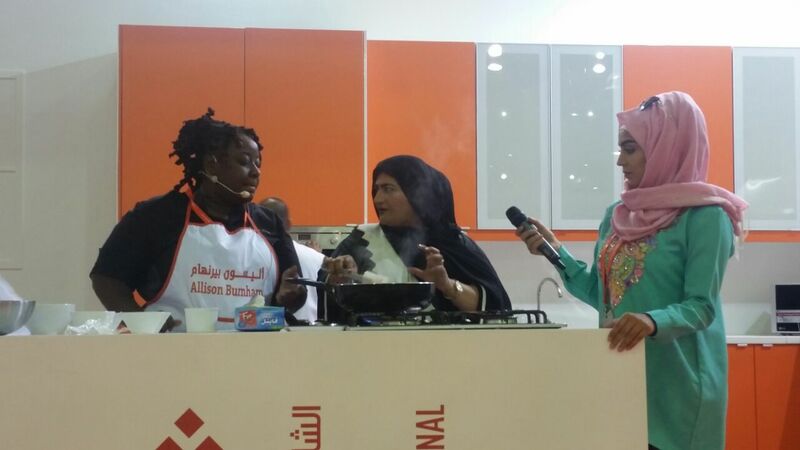 She praises her parents for inspiring her for the love she has for cooking. “ Both my parents inspired me. 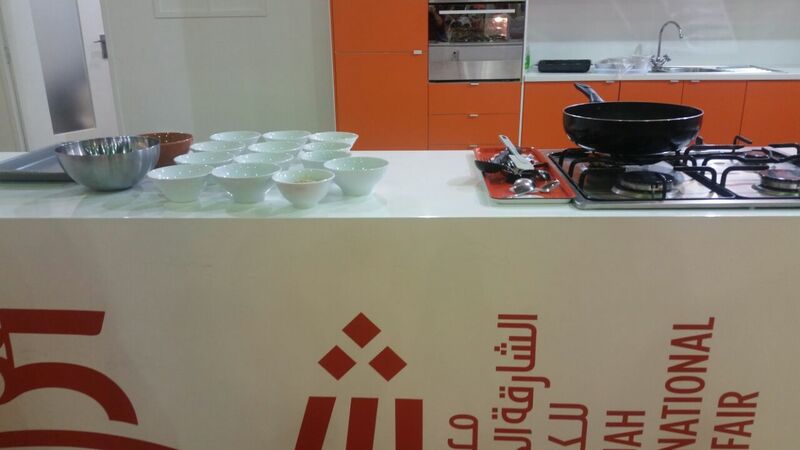 They always tried paring up different ingredients together to cook up a new dish. Since both my parents are from Barbados, and we then shifted to New York, they wanted to make things easy for me” said Allison as she smiled and looked at the dish she had prepared. Reflecting her stand on the food safety revolution, Allison recommends the rising chefs to use aprons and to use two cutting boards while cooking. Both the cutting boards could be colour coordinated. Allison uses green cutting board for vegies and the red cutting board for meat. She also revealed how she admires Sandra Lee. Sandra is a well-known American Chef who started with the concept of ‘Semi-Homemade’ cooking which could be described as 70 percent pre-packaged products and 30 percent fresh items. Last but not the least, Allison desires to come up with her own TV Celebrity Chef show where she could share all her ‘Caribbean’ recipes with the viewers. “Who doesn’t want to come up with their own Television show? I would definitely love to do that. But for now, I’m happy with my short tutorials on YouTube.” Right now, Allison has more than 1000+ viewers on Facebook and Instagram and she continues to entertain her viewers by posting short videos on her page.